Brian Tovin received his Bachelors in Physical Therapy and certification in athletic training from Boston University in 1988 where he was a competitive swimmer. Dr. Tovin then received a Masters of Medical Science (MMSc) Degree in orthopedic Physical Therapy in 1992 and a Doctor of Physical Therapy degree in 2002 from Emory University. He is a Fellow of the American Academy of Orthopedic Manual Physical Therapists (AAOMPT), and is a board certified sports physical therapist. Dr. Tovin completed a prestigious manual therapy residency under Geoffrey Maitland in South Australia. In 1995, he founded The Sports Rehabilitation Center and is the current owner with four sites in the metro-Atlanta area. Dr. Tovin has served as the director of rehabilitation for The Georgia Tech athletic teams and was selected as the head athletic trainer for the aquatics venue at the 1996 Olympic Games. He has been an athletic trainer with the United States Diving and Swimming team and was part of the United States medical staff for the previous five Maccabiah Games in Israel. 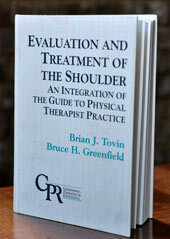 Dr. Tovin has written a textbook titled Evaluation and Treatment of the Shoulder: An integration of the Guide to Physical Therapist Practice published by F.A. Davis. In addition, he has published research in peer reviewed journals, has authored numerous papers and book chapters, and has lectured nationally and internationally in the field of orthopedic and sports physical therapy. 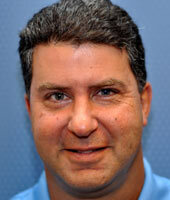 Dr. Tovin is an Adjunct Associate Professor in the Department of Rehabilitation, Emory School of Medicine. He is a member of the American Physical Therapy Association, the National Athletic Association, and the American Academy of Orthopedic Manual Therapy. Outside of work, Dr. Tovin spends time with his wife Stacey and 3 boys, Alex, Jordan and Drew. He is involved in coaching his kid’s sports, skiing, scuba diving, and competing in masters swimming.